BELLEVILLE, ON. 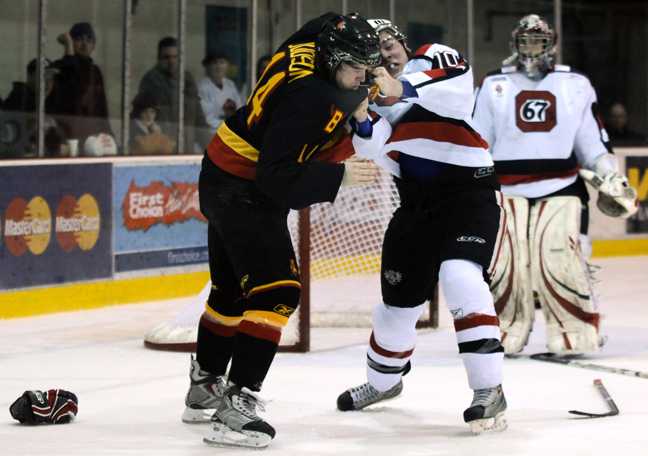 January 21, 2009 – Fists go flying as Belleville Bull Luke Judson and Ottawa 67 Marc Zanetti go toe-to-toe on Yardmen Arena ice in Belleville. The Bulls beat the 67’s by a score of 5-3. BELLEVILLE, ON. 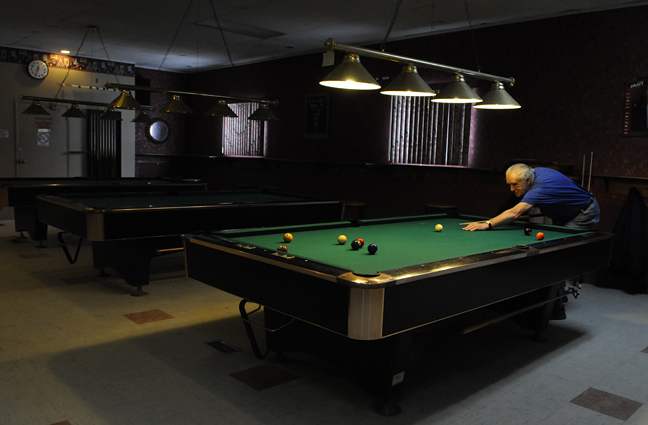 January 19, 2009 – Ray Boyle, 66, has been coming to Mr. Zed’s Billiard Room for over 40 years. The friendships, atmosphere and daily competition keep him coming back six days a week. 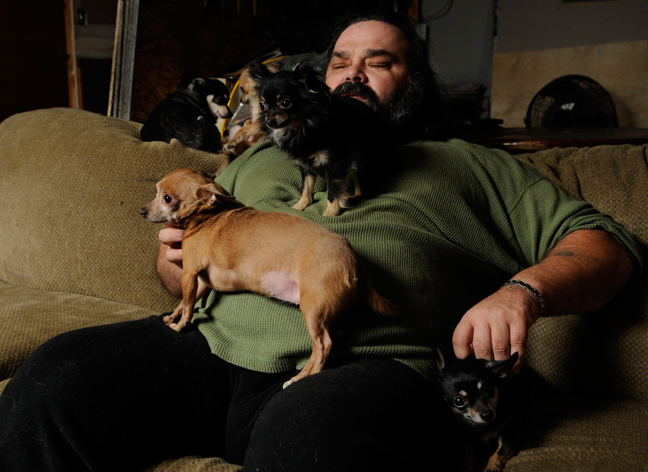 Mr. Zed’s first opened in 1936 and has been a Front Street fixture ever since. BELLEVILLE, ON. 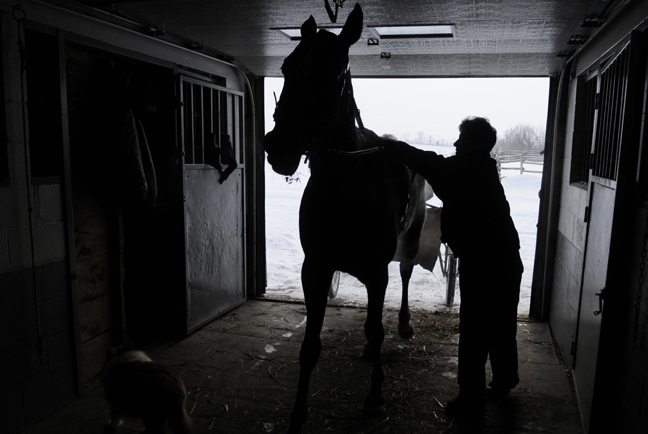 January 19, 2009 – Amber Orser runs the Orser training stable off Harmony Road and has faced frustration waiting for the Quinte Exhibition Raceway to be constructed. 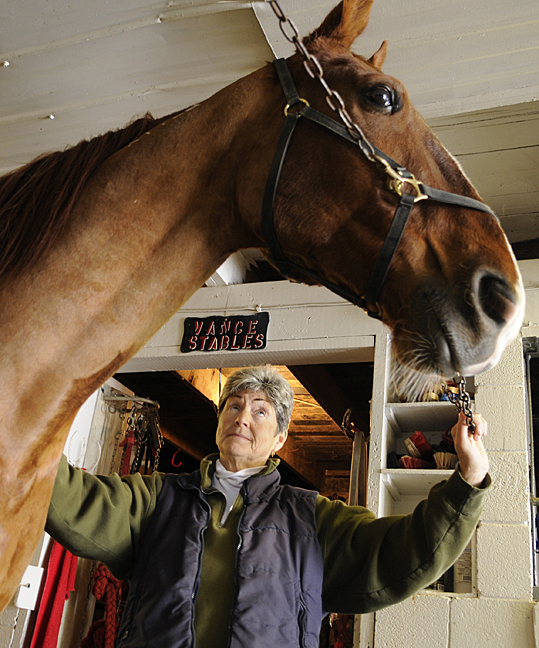 She now has to travel out of town to race her horses and is taking a financial hit because of it. Here is the Masquerade multimedia project produced last month. There are still a few sound issues but, as with everything, it was a learning experience! 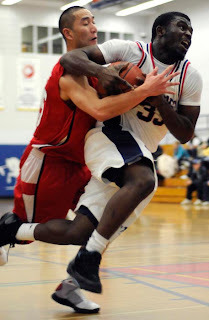 I recently placed first in the sports and multiple category in the Loyalist College Photo Contest for the month of November. I am now sitting at second place with 300 points, tied with my roommate, Paula Trotter. Belleville, ON. 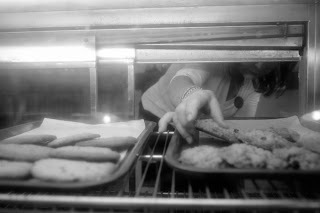 November 4, 2008 – A hand reaches for a cookie in a haze of warmth and sweetness. BELLEVILLE, ON. 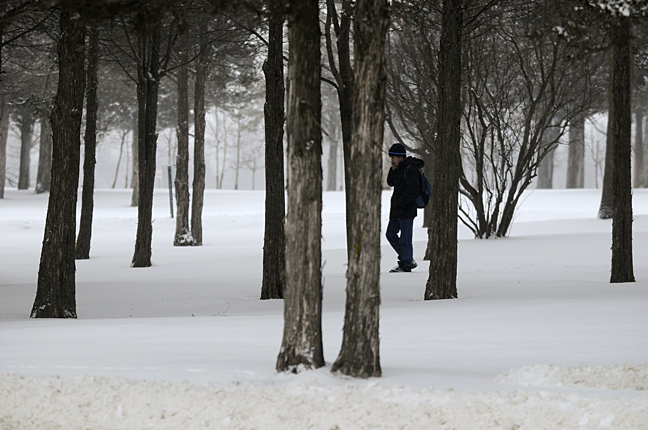 January 7, 2009 – A student pauses for a moment between some trees during a cell phone conversation on the Loyalist College campus.